The play in the evening was fantastic. 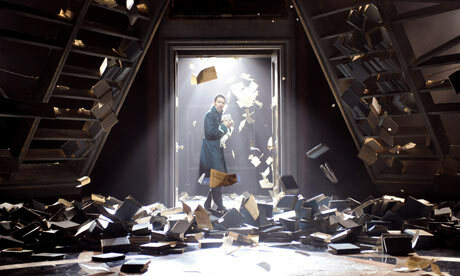 Our class saw The Winter's Tale, which is a Shakespeare play that I was unfamiliar with. The set design was phenomenal. Most of it, such as the leaves on trees, were made up of book pages. Book pages also littered the stage and made up the costumes of some of the characters. At one point, a giant book page bear puppet (yes, you read that right) dragged off one of the characters, which was a cool effect (trust me on this).